/ AR / CyborgHolo – AR app with cyborgs and robots in real environment!! 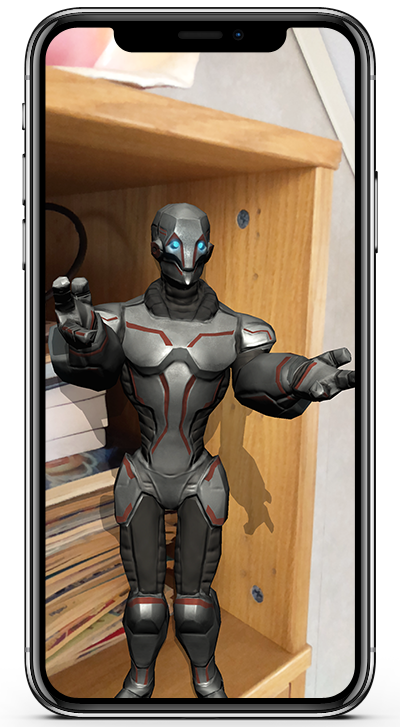 Eelooz is proud to present the amazing AR app CyborgHolo. With CyborgHolo you can put cyborgs and robots in a real environment. You control what your Cyborg should do by selecting animations clips. So real that you have to download the app and see for yourself!! CyborgHolo is available for iPhone and iPad on the App Store!